The theme also fully Responsive and mobile friendly, suitable for any website development that focus on mobile blogging, you could test them out in your mobile device such as ipad or iphone. 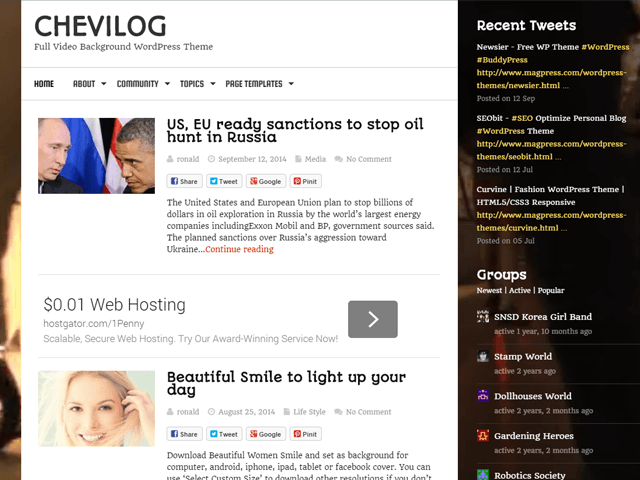 I have tried installing this chevilog theme, but it’s still not showing up on my website. You can take a good look at my website to know how to correct the issue https://www.infocabal.com. Please send me an email notification when you want to give me a feedback. I earlier left a previous comment in this thread. I need to know, how can I disable the sidebar for a specific page and readjust the remainder of the page. hi stan, please use the support forums next time for support question if you’re had purchase the developer version. want to avoid supporter question on open forums, hope you understand. try redownload the theme and replace lib/functions/theme-functions.php only, i’ve just updated this file sec ago.